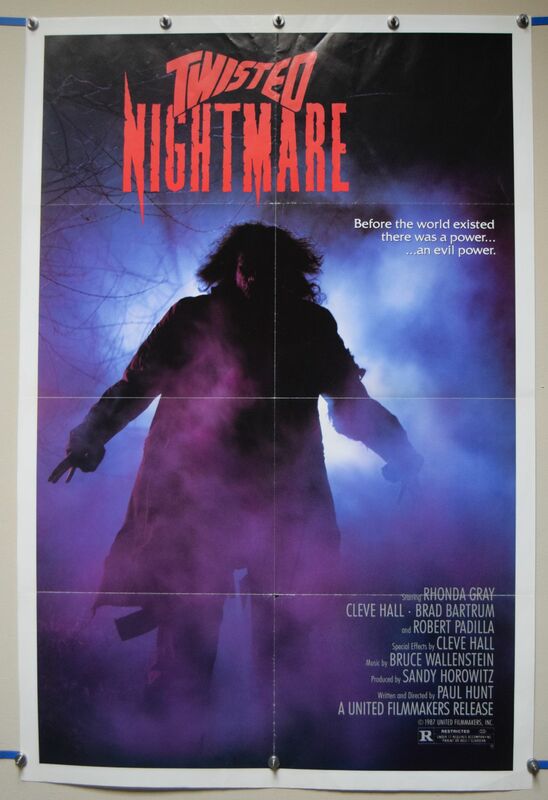 Twisted Nightmare (United Filmmakers,1987) US One Sheet Poster Size 27" x 41"
Starring Rhonda Gray and Cleve Hall. A group of teenagers win a trip to a summer camp they had attended as children. However, soon after they get there they begin to disappear one by one. 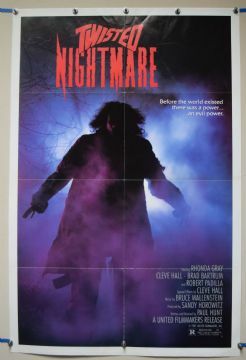 The poster has light fold wear and a small hole in the bottom fold.